I love all of the colors. Narrowing down the ones I want for dresses has been no easy task but I am very confident they will come out beautifully. Shipping was super fast and the sellers contact has been spot on. Definitely something you want in a company that is contributing to your special day. I was very impatient and excited to receive my dress and finally I am so happy, it's perfect for my size, the color is beautiful, fit and finish is very good. I am so impatient to wear it at my sister's wedding. I recommend it to everybody and I will certainly buy other articles here. I was very surprised at how fast the dresses arrived.The quality is great and they're really pretty. I ordered 5 dresses in the picture colour . all the dresses fitted beautifully .My bridesmaids are extremely happy with them. Delivery was exactly as advertised. Quality excellent. This is brilliant -it is so flattering and eye catching. 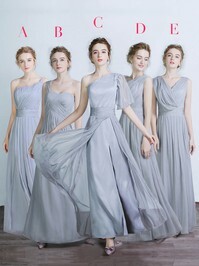 You just never believe it is true, so good dress with such low price and nice service. Love you Uk.millybridal.org!